Our rates include a continental breakfast buffet which is available till midday. We are an easy walk to the bars and nightlife. Many of Edinburgh's major visitor attractions are also within walking distance. "Gay Owned / Gay friendly"
We look forward to welcoming you to share our home for a while. "Gay Owned / Gay friendly"
Description: Devoncove is a 3 star hotel, offering affordable single, twin, double and family suites. Our in-house bar and restaurant gives you a hotel experience like never before. Culture. Art. Fashion. Nightlife. Restaurants. It's all here in Glasgow! And among these treats, the West End area of the city also offers you the Devoncove Hotel - situated in the heart of the area, a 3-star boutique hotel affiliated with Visit Scotland. Within 20 minutes walking distance of the city centre, railway and bus stations, Scottish Exhibition & Conference Centre (SECC) and 5 minutes walk to the heart of the city's West End and riverside, it is ideally located for those looking for a perfect blend of quiet beauty and bold adventure in Glasgow. 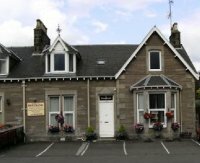 Description: Muriel and Jimmy at the Rosebank Guest house, Perth, Scotland, would love to welcome you to our home and offer a quality break in very comfortable en-suite rooms c/w 24 channel tv, fridge, wireless internet and courtesy trays, specials for weekends and bank-holidays. 2 nights D B&B �62pp, 3 nights �90pp. Free wine with dinner. 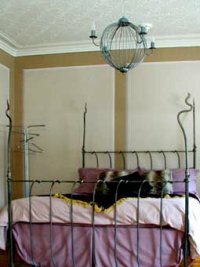 Lesbian and gay friendly guest house offering weekend deals on dinner bed and breakfast or bed and breakfast for the coming Easter bank holidays and all other holiday requirements. 10 minutes walk from town centre, ideal base for walking and exploring holidays, City of Perth, voted Scotland city in bloom 2010. Description: Privately owned Victorian villa, with wonderful views over the Firth of Clyde. 4 star guest house offering superior accommodation and fine dining. 7 en-suite bedrooms, lift to first floor, wheelchair access and facilities for the disabled. Charming lounge and intimate dining room. Non-smoking throughout. Garden, Patio and ample car parking. Ideal for a relaxing, care free break with plenty of sea air, far removed from the bright lights. Contact Donald or Fraser. Description: Stewart Thom and Gary Turner invite you to visit their home, Heriott Park, which is a gay owned and gay friendly (but not exclusively gay) guest house located just over 1 mile from the centre of Edinburgh. Heriott Park is a beautiful terraced Victorian villa which has been trading as a guest house since the 1920s and it evokes the atmosphere and splendour of that period whilst providing all modern home comforts in tastefully decorated and furnished rooms, all of which have en-suite shower and WC. The house enjoys spectacular views over George Heriot's Rugby Ground towards all the well known Edinburgh landmarks including Arthur's Seat, Calton hill and Edinburgh Castle. Description: 18th Century Georgian Country House situated in 40 acres of manicured lawns. Sincere staff and superb cuisine. 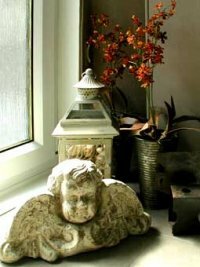 Magnificent House steeped in History. 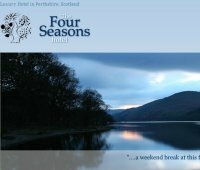 The Four Seasons sits peacefully on the banks of Loch Earn, Perthshire. The natural beauty of this location is the first delight of every visitor to St. Fillans, and the position of the Four Seasons, looking south-west down Loch Earn, is one of the most enviable settings in Scotland. Description: Not a castle not a grand house. Taychreggan has survived for over 300 years to become one of Scotland's top country house hotels where the aim is to woo visitors into feeling like house guests. "Gay friendly"
Description: Highland hotel offering a warm Highland welcome. With breathtaking scenery at your doorstep you can unwind and relax. Situated in the town centre, overlooking Loch Linnhe and the Ardgour mountains. "Gay friendly". International Gay Guide is the standard companion for gay men who travel. Chock full of information, Spartacus sheds light on the richness of gay life and helps bring together countless men from around the world. The key to getting the most out of the big gay world out there! This guide contains over 25,000 useful addresses as well as valuable background info about gay life and travel worldwide. The guide is the authoritative source of information on the rapidly ever-changing gay scene. An absolute must for every gay traveller! Buy GB£ Buy US$ from Amazon.